MINEOLA, N.Y., March 22, 2019 /PRNewswire/ -- In a breakthrough for Long Island women diagnosed with breast cancer, NYU Winthrop Hospital today announced that is has been named Long Island's first Hidden Scar® Center of Excellence in recognition of the hospital now offering an advanced approach to breast cancer surgery that removes cancerous tissue but hides visible scarring. This "Hidden Scar" approach is a breakthrough – and expected to be the wave of the future – that allows NYU Winthrop's surgeons to operate to eradicate breast cancer while at the same time producing optimal cosmetic outcomes. 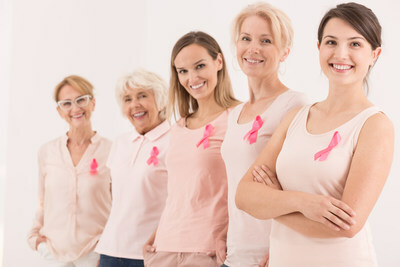 The latter is of increasing importance when viewing the patient as a whole, given that more than 65 percent of women having undergone breast cancer surgery are reported to be left feeling self-conscious and unhappy with the remaining scar. Approximately 253,000 women annually are diagnosed with breast cancer requiring surgery. The Hidden Scar approach was developed by Invuity, Inc., a leading medical technology company focused on advanced surgical devices, and now a part of Stryker. Invuity's Intelligent Photonics technology improves a surgeon's ability to perform minimal-access surgery through smaller and hidden incisions. NYU Winthrop is the Long Island affiliate of NYU Langone Health and is ranked by U.S. News & World Report as one of the top-10 New York metro-area hospitals. The hospital was founded in 1896 by local physicians and concerned citizens and is now a 591-bed medical academic center and ACS Level 1 Trauma Center. The hospital features more than 75 divisions of specialty care, offering comprehensive inpatient and outpatient programs and services to address every stage of life. NYU Winthrop also has a Research Institute that conducts robust research and studies that are helping to shape the future of medicine. The hospital, with ties to New York University, blends the progressive philosophy and advances of a teaching and research institution with a personal approach to patient care that is the cornerstone of the organization.